Come and help with our continuing excavations of a mysterious Roman site in woodland at High Wood, Harpsden, on the Phillimore Estate. Excavations will resume on 22nd March, 2019 and volunteers are required now! There is plenty to do for everyone, with or without experience, from digging to pottery washing and finds sorting, and all equipment is provided. 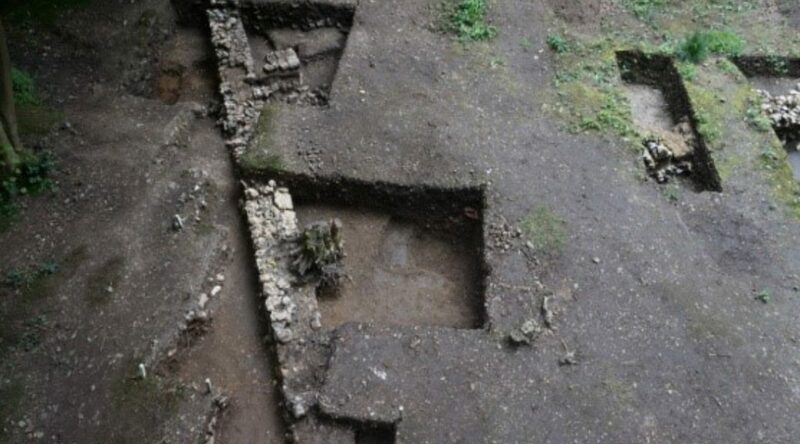 This year we will focus on extending our knowledge of the walls and rooms found previously, and fixing the size of the whole site (still 2 more corners to go!). The project is being run by the South Oxfordshire Archaeological Group (SOAG). Digging sessions will run every other (long) weekend, Fri-Tue, from March until the end of June. You are welcome to come along for just one day, the whole season or whenever you can.